As I write this from my hotel room in Porto, I’ve been up 30 consecutive hours and counting. 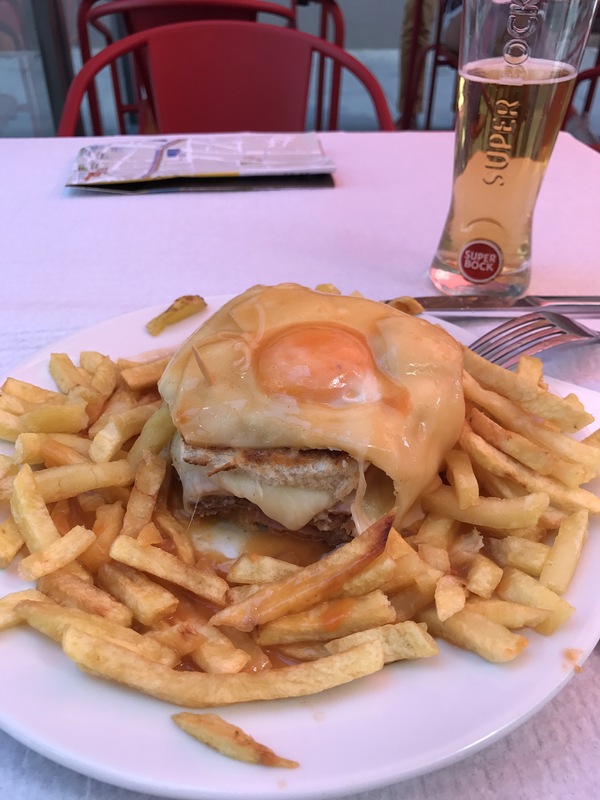 Zero sleep on a headwind affected 9 hour Miami – Madrid flight, then the short connection to Porto, the cab ride to the hotel…and insistence by both the cabbie and front desk clearly that I MUST try one of their famous local sandwiches…the Francesinha. OK, I’m game at this point because I need to stay awake until dark so I can attempt to get my body on local time. One thing’s for sure…no sleep combined with the cardiac arrest inducing Francesinha makes for one rotten feeling. Tomorrow is a fresh day though, with 27 km of walking and a much better selection of food. Promise. The silver lining in yesterday/today’s duration was the couple hours I got to spend with our Matty Ryan in Miami. He picked me up at the rental car drop and we stumbled on a cool little Spanish tapas cafe near the airport. 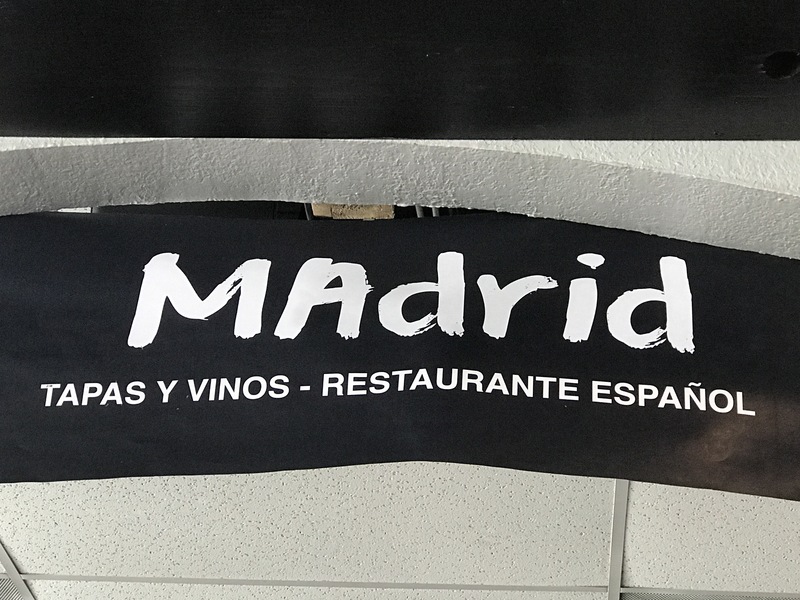 Calamari, rosemary potatoes and Estrella cervezas…and at a joint called Madrid Cafe’ no less…got me in a ‘Spanish mood’. 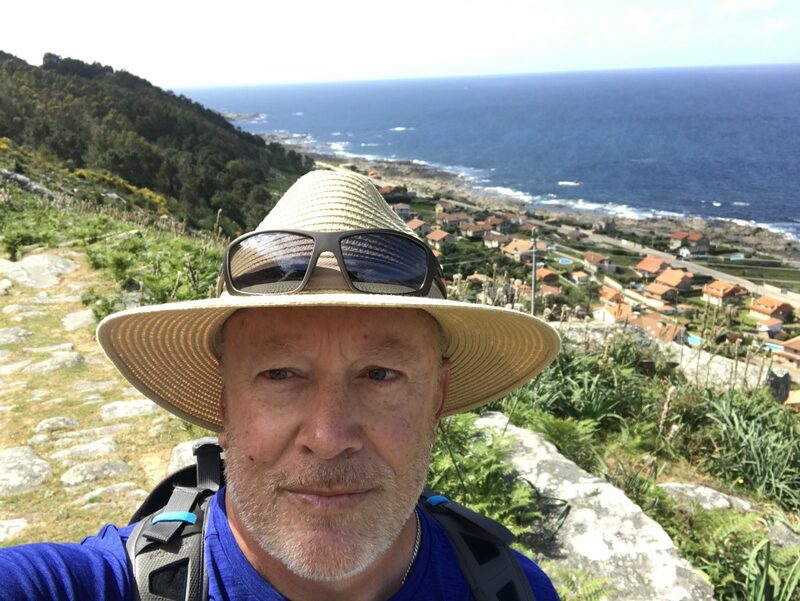 Looking forward to starting my pilgrimage walk tomorrow and getting out to the coast and countryside. 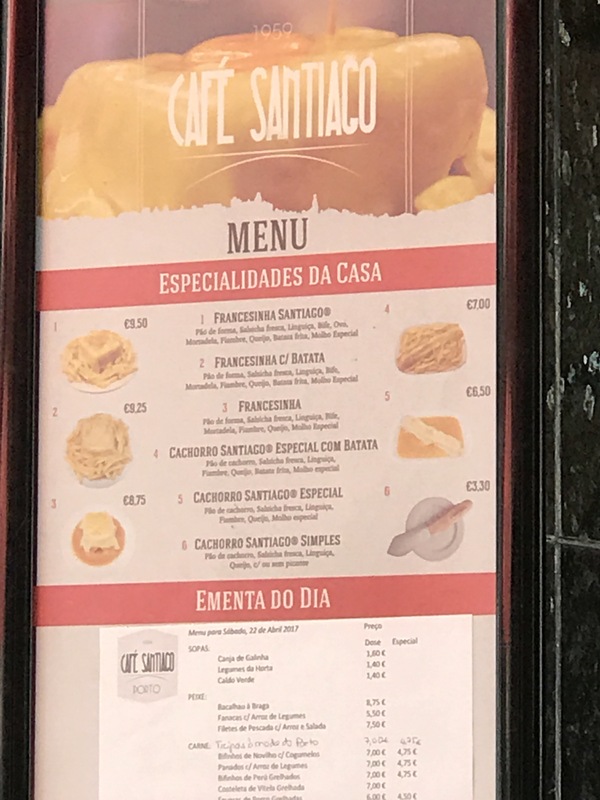 Cafe’ Santiago menu…where the Francesinha was created. You don’t want to know what’s on this thing…trust me. 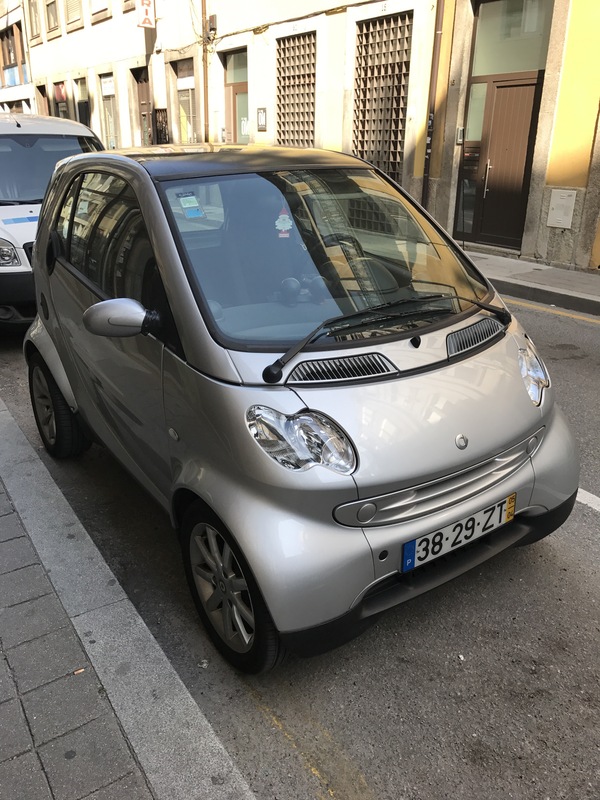 Lots of Smart cars here and NO Billy Bob super duty cab pickups. 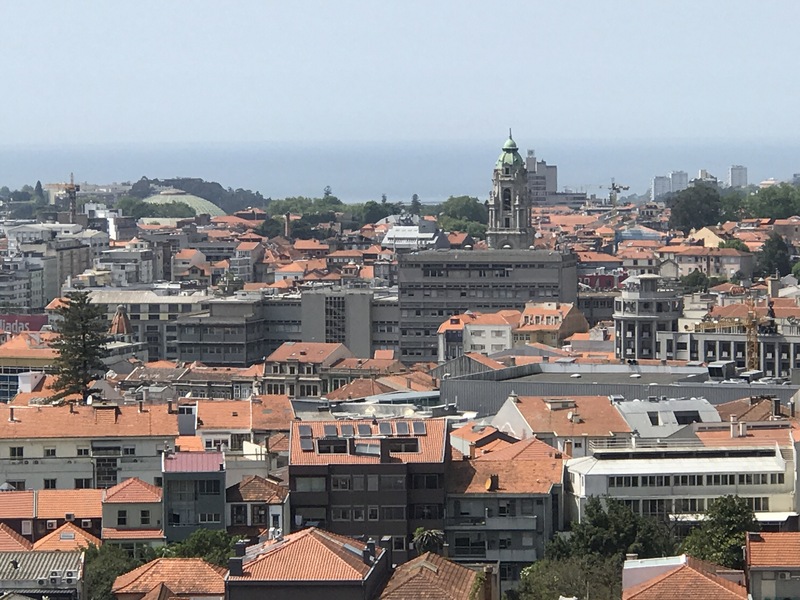 The view of Porto and Atlantic Ocean in the background from my hotel window. 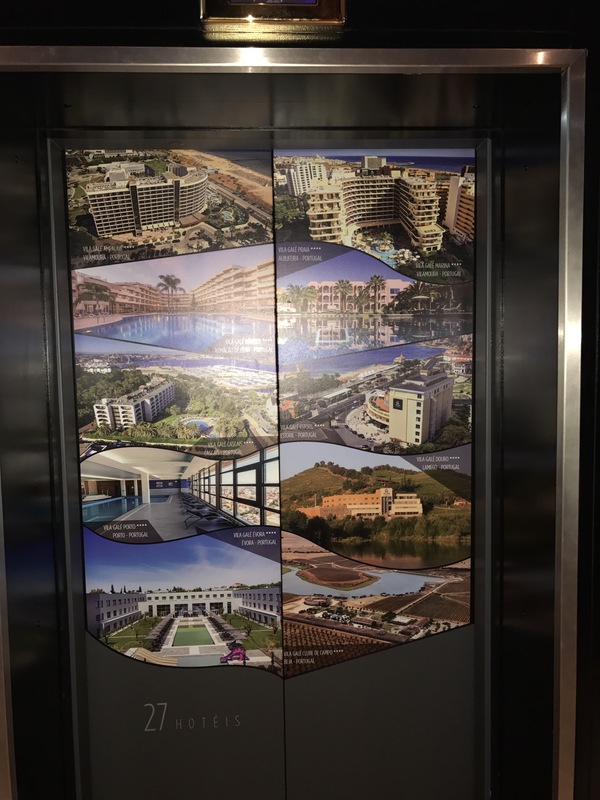 The artsy elevators at the Vila Gale Porto hotel. Very cool joint. My main man Matty Ryan. Love you pal. 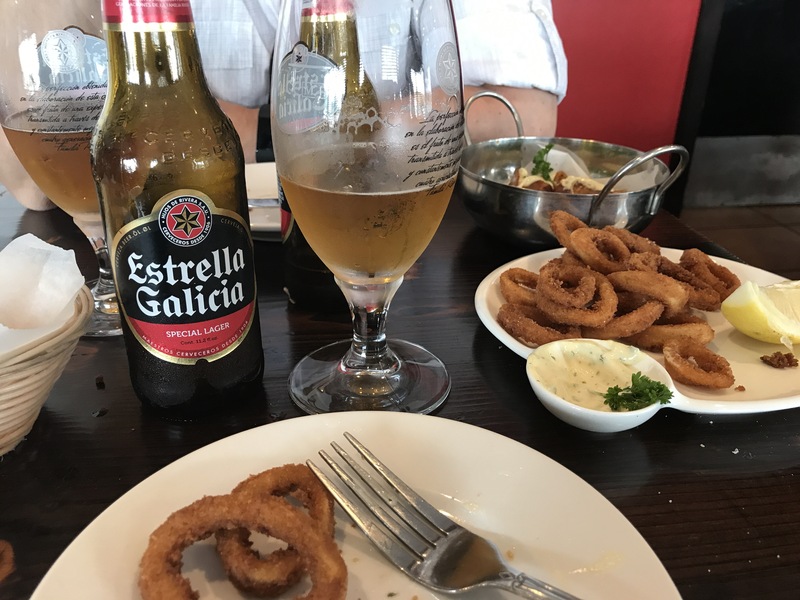 Tapas of calamari, rosemary potatoes and Estrella cervezas. Getting in a Spanish mood at the Madrid Cafe’ in Miami. 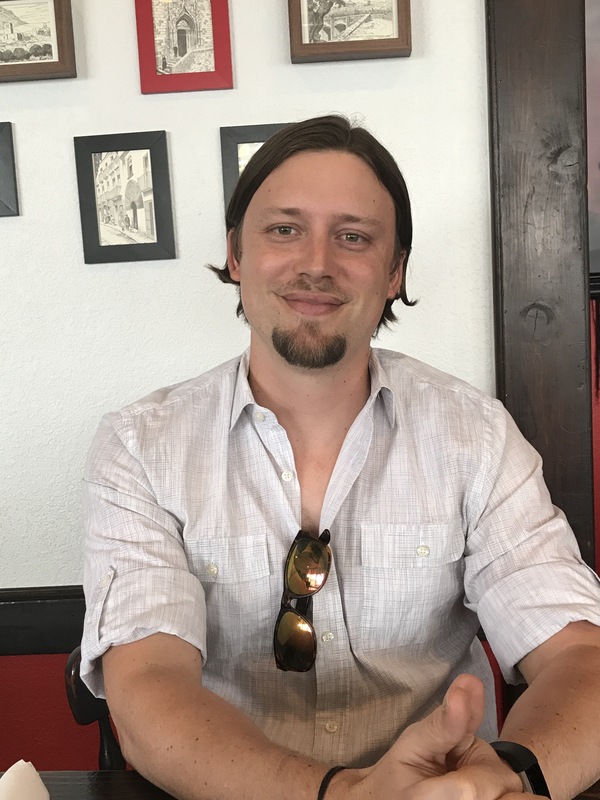 Love this blog, it has already been interesting and thoughtful….but the photos make me want a beer. 🍺 😉Blessings as you start your walk tomorrow….18 miles a day is quite ambitious! A prayer 🙏🏻 for you each day from me. Morning honey. Feeling much better this morning. Sleep, like prayer, is so restorative. Hey, got hooked up with 2 ham & cheese croissants at bkfst buffet like in the old days. I learned from the master! Haha…you’ll probably need to solo on that bad boy boss…1 in a lifetime is enough of those monsters. I’m still full a day later!